I'd been back from Spurn since Tuesday – getting home at around 1pm after a traffic-riddled journey along the southern end of the M1 and on the M25. I was straight back into work mode the following morning and had been going flat out to catch up with numerous jobs through to the weekend. I felt completely exhausted on Sunday morning, but I needed some compensation for missing out on a festival of birding rarities at Spurn that was developing during the weekend in my absense. 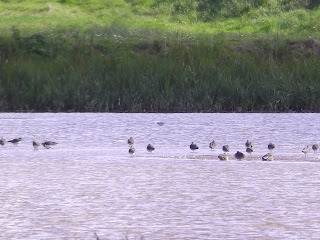 And so weariness didn't stop me heading for Essex and a first visit to the RSPB reserve of Vange Marsh for the Wilson's Phalarope. I really hadn't expected it to stay put for as long as it had, having first appeared on September 21, but stick it did and so on a bright, sunny morning I set off on a leisurely hour drive to Vange. In many ways the site is similar in its location to Holmethorpe Sand Pits, as it is set next to a built-up area with a railway line running alongside. Also nearby is the Pitsea landfill, which is very good for gulls. 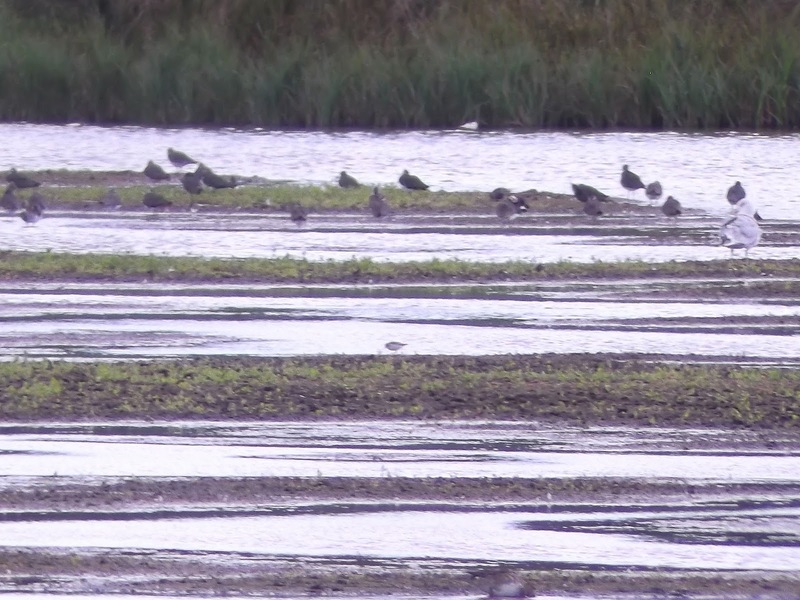 The wetland at Vange is particularly tempting for waders as the water doesn't look as if it creeps too high. The surrounding area is flat and there is plenty of juicy scrub and reed habitat for other birds. 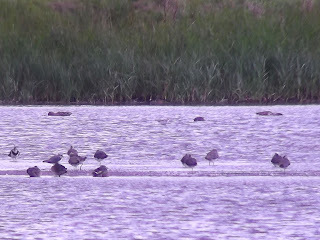 There is only access half the lake and invariably the birds are likely to be quite distant to view – as was the case of the Wilson's Phalarope, which was feeding at the far end of the lake. 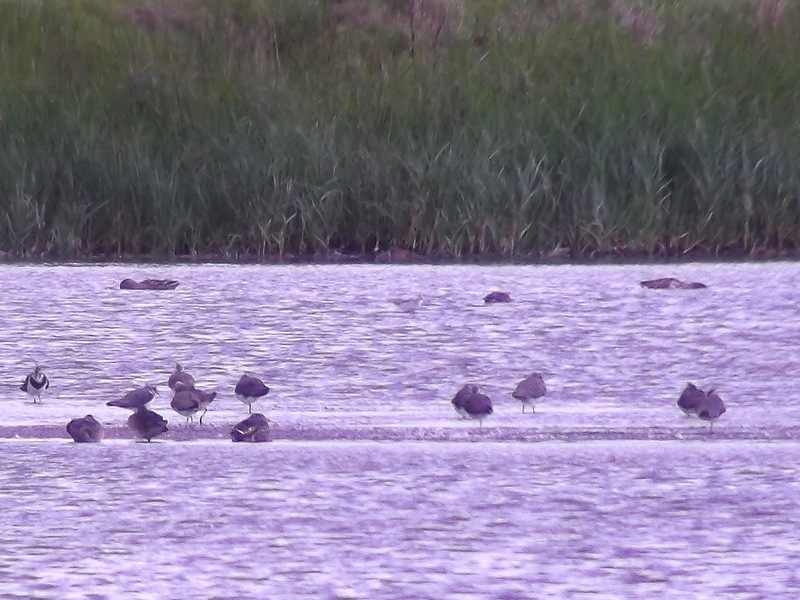 Despite the distance, this rare Phalarope was quite easy to pick up in the scope and gave reasonable views. 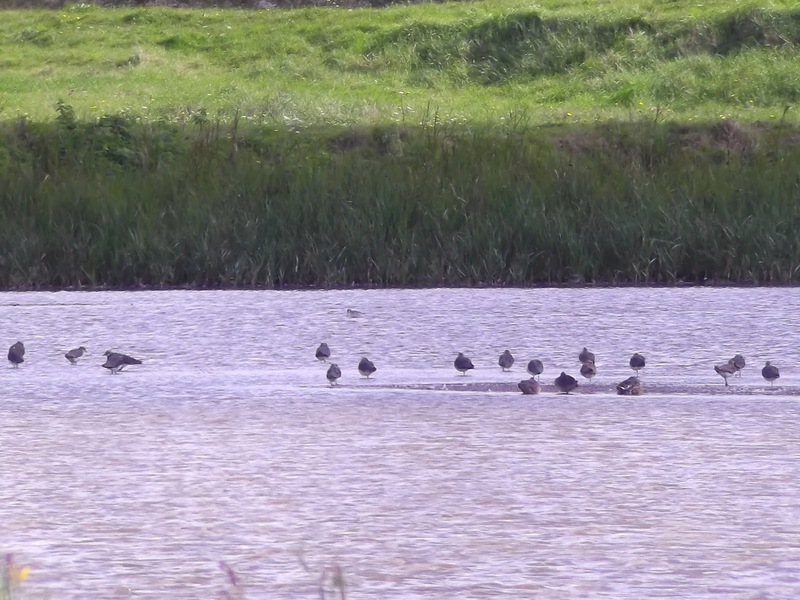 At one point the waders took flight, as a Marsh Harrier circled the area and landed nearby. Marsh Harriers, like Whinchat, are birds I never fail to see almost anywhere I go at the moment! 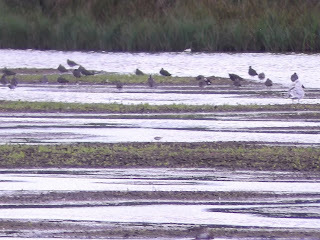 The other highlight was a Little Stint feeding relatively close by. So that was basically that. I'd had a pleasant Sunday morning trip out. Elsewhere, Staines birding mate Dominic Pia was having one of those days at Spurn I've yet to experience. Dom is currently spending a few days up on the East Yorkshire coast, taking over where I left off the week before. 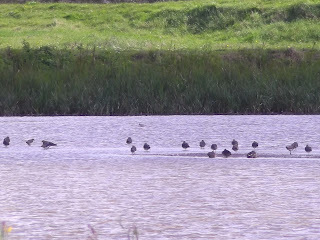 Unfortunately, my visit coincided with one of the quieter periods during the autumn at Spurn. If I'd planned it for a week later I would have been enjoying some incredible birding. He is camping at the Driftwood campsite where an Arctic Warbler was discovered in bushes next to his tent. The list of rare and scarce birds at Spurn has rising ever since, including a Blyth's Reed Warbler today, along with the numerous Yellow-browed Warblers, Red-breasted Flycatchers and Barred Warblers. Add the the list a Long-tailed Skua, Ring Ouzel, Hen Harrier and Pied Flycatcher and you've got yourself one healthy list.